When it comes to thinking about where to go and what to do with the children, Rotorua is your playground. From the nice compact NZ Native Zoo of Rainbow Springs, to the Wildlife Park of Paradise Valley with their pride of African Lions. 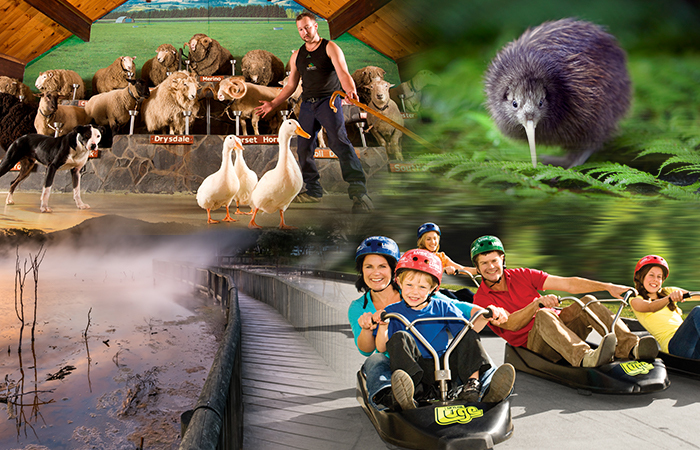 If animals and wildlife are not your thing, not to worry, Rotorua is also home to Skyline Luge! Ride the Gondola to the top of the complex, and Luge down on one of their three tracks through the Redwood Forest. Enjoy the Panoramic view overlooking the heart of Rotorua, as you wine and dine in the restaurant. If you’re scared of heights, never fear, for there is still an abundance of activities nestled upon the volcanic floor. 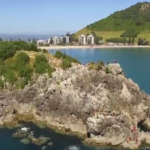 Visit the 3D Trick Art Gallery, watch the Farm Show at the Agrodome, Walk or Mountain Bike through the Redwood Forest tracks, or take a short boat ride over Lake Rotoiti to the Hot Pools in Manupirua Bay. For those a little more on the adventurous side, take a Horse Trek from Lake Okareka up to the top of a working sheep and beef farm with spectacular views of Lake Tarawera. Or traverse the Rotorua Canopy tour, or Jetboat the Kawarau River. There is a magnitude of Natural Environments to explore also- walk through Kuirau Park and discover steaming, hissing, and bubbling Geothermal Activity. Visit the Government Gardens located right on the edge of Lake Rotorua, home to the Blue Baths, and the Historic Museum. There is so much happening in Rotorua, enough to cater for every member of your family. One day just wont be enough!